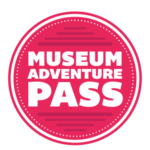 If you’re looking for something fun (and perhaps educational) to do, use our Museum Adventure Pass program. You can check out a Pass to one of the many Chicagoland participating museums. Admission offers vary per museum; for some, two or four people may be admitted free per pass, or by the carload. If admission is free, another special discount will be offered. Let the adventure begin! Things to know: You’ll need your Cary Area Library card to check one out at the Service Center. We have a limited number of passes for each participating organization and are available on a first come, first served basis. Passes cannot be reserved or checked out online or on the phone. Also, there is a limit of one Museum Adventure Pass checked out per family, per loan period. The loan period is seven days and expires after the date printed on the pass. Stop in and see staff at the Service Center to check availability and check out a Pass. See an interactive Google map of the participating museums.